Mar Lan Construction was selected thru a competitive bid process to provide and erect (2) Buildings for the USD 497 Lawrence Public Schools. 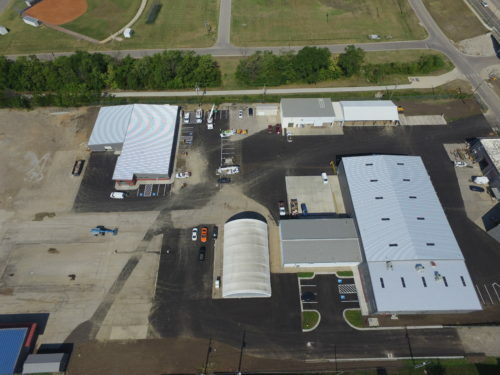 A 20,000 square foot CECO metal building will serve home as the new warehouse facility at the campus and a 12, 500 square foot CECO metal building will serve as the administration and offices for the facilities department. Steve Schrader project superintendent was in charge of overseeing and coordinating with the USD 497 Construction Manager. Another great project utilizing the CECO Metal Building Systems pre-engineered structures.